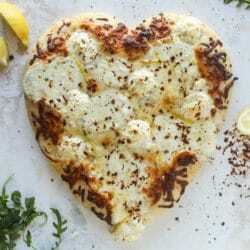 Cheesy White Pizza on Garlic Bread Crust. Max & Emilia Moments (and a whole lot of rambles). I loved Where the Crawdads SIng! Where the Crawdads Sing…one of the best books I have read lately! 7.) Look up why the PC Police is hating on fabulous JLo for her performance… get ready to shake your head and groan. Just message me about it once you see, haha. Currently reading The 7 1/2 Deaths of Evelyn Hardcastle, but I recently finished The Seven Husbands of Evelyn Hugo (no relation), and I feel like you’d really love it! ahhh i read evelyn hugo last year and it was def my favorite book of 2018!! it’s the best! On the Grammy’s………Ohhhh, Brandi Carlile! It was so moving and powerful! Ina was so funny I needed a good laugh! Just finished The Alice Network. So good! I read that too and loveeeeeed it! That Cookie Monster AMA was the best thing I’ve read on the internet lately. NAILED IT. Hi! I follow your blog via bloglovin and the past few posts haven’t shown up – I can click on the post and then it stalls on a blank page, just thought you’d like to know! So I am a nerd and only check out books from the library instead of buying them. I have been on the waitlist for Where the Crawdads Sing for a couple of months (literally I was like 37 on the waitlist) and finally got a notice that it’s ready! I can’t wait to start it! Recipe for those heart cookies please! Did a quick search of your site and didn’t see anything. Thanks! I love your blog and your pics are so gorgeous! I couldn’t find the heart sugar cookie recipe. 😔 Am I just missing it? hi susan! i use this one! What do you do for that amazing looking icing!? Do you have a recipe for the cookie icing!? I love your blog and your pics are so gorgeous! I couldn’t find the heart sugar cookie recipe though 😔 Am I just missing it? i just want to go day drinking with Seth….meow. Please report back on Where the Crawdads Sing in future Tuesday Things! It’s on my Kindle queue, wondering if I should bump it to the top. Thanks Jess! Where The Crawdads sing is on my list. Reading The Library book now. Don’t waste your time on the Ted Bundy thing — I thought it was a snoozefest. But Day Drinking with Seth? You’ve just created a new obsession for me to You Tube! RE: Ted Bundy. I watched it last week and while it is a little creepy, it didn’t give me nightmares or make it hard to sleep….and I can be a baby about these kinds of things sometimes. We also broke it up over the course of a few days so maybe that helped too :) Not quite as intense. Soooo did you love Where the Crawdad’s Sing? ?